Physician leaders who recently completed their master’s degrees in medical management through one of AAPL’s educational partners offer some ideas to allow them — and others — to fix what ails the system. In March 2017, 24 physicians from varied backgrounds began a journey to learn and explore the business world through the Master of Medical Management program at the University of Southern California’s Marshall School of Business. We asked some members of the cohort how they hope to help improve health care, based on what they learned. We were challenged as a class to address the shortcomings of today’s health care delivery model and suggest solutions. 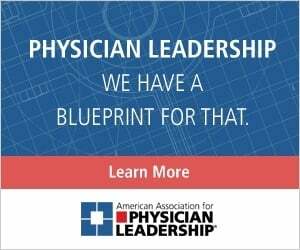 This is neither a simple nor singular task, and we believe progress hinges on physician leadership. We came together from independent practices, small critical-access hospitals, and government-owned, for-profit and not-for-profit health care systems. We ranged from many years of clinical experience to relatively few. During our training, we developed a shared willingness to learn, to see things differently, and to better represent you, our physician colleagues, as we seek to improve our fragmented health care landscape. It is evident there is no single solution to the crisis we currently face. However, incremental change can prove to be powerful when properly directed. We are willing to map the current state versus an envisioned, better future state, and be representatives for our physician colleagues as we work together to bridge the gaps. Our health care system is far from ideal. Sometime during the past 30 years or so, our patients were demoted from being the primary focus of the system. We expect them to schedule appointments and wait for hours as we fall further behind in our work day. We shouldn't be surprised when they instead seek care in the emergency department or urgent care center — where they again wait. Consider the enormous costs of this type of reactive-care model: Soon, there will be little if any money left to educate our children, renew our infrastructure or compete in global markets. This can’t be the best we're able to offer our patients and communities. We are better than this. Complex, varying factors and attitudes have presented opportunities for nonphysicians to enter the health care space and “fix” the problems we were too busy to address. But the “solutions” often leave out the most important part: the patient’s health and well-being. Those of us who attempted to address the issues often did not have adequate business training or strategic understanding — we were constrained by the lenses of our own personal, clinical worlds. To be successful agents for change, physician leaders must see beyond local priorities and understand the health care landscape from 20,000 feet. Value-based health care is the evolving (actually, rediscovered and historically patient-centered) reality; it is up to physicians to make that reality a meaningful, clinically relevant paradigm shift. Physicians need to align around a common set of patient-centric values and goals and take the lead in health care reform. Our sense of self-worth has diminished as physicians, and we are increasingly commoditized by payer and delivery systems, contributing to alarming rates of depression and physician suicide. Crushing administrative and documentation burdens have diminished critical time with patients and fueled burnout. We seek positive change for both patients and clinicians: Through care model redesign, payment reform and unlocking technological potential, we can put the patient back at the center of the system. We commit to work together to change health care delivery. We all have unique lives with individual careers and challenges. But we know we are stronger together, aligned around our core values and the belief that society needs physicians to be the impetus for positive change. Today, our cohort raises its hand, volunteering to be leaders of change rather than victims of it. Who better to heal an ailing health care system than a group of dedicated physicians trained in business and leadership skills to support their clinical decisions? But we need something in return from you: The sacrifices we are making in personal time, income and experienced frustration in leading this change requires your support. 1. Don’t condemn us for limiting, or even eliminating, our clinical practice time. Our nonphysician leader counterparts fully dedicate their time and effort to leading. Physician leaders cannot be on equal footing with them if we view leadership as a part-time job or secondary concern. We promise to not forget what it means to be a doctor; we have walked in your shoes and understand the challenges you face. Rather than spending time practicing clinically in our own specialty, it can be more powerful and productive, and give us a more valuable perspective, to spend time alongside you in your practice environment to better understand your personal frustrations and concerns as well as your suggestions. 2. Join us when we need your expertise. Lend your time and knowledge to be a part of the solution and be rewarded with a step toward a better future. What are you doing to improve health care delivery? These physicians have pledged to work for improvements, so please tell us how you’re helping with that goal. Share your information — what simple (or complex) steps you’re taking to improve health care — and inspire your colleagues. The Physician Leadership Journal welcomes unique perspectives and opinions from around the world. Send your thoughts to journal@physicianleaders.org and we might include them in an upcoming issue. 3. Please don’t hold back your colleagues who want to be a part of this physician-led change effort. Those of us who pursue administrative roles sometimes find it ironic that our greatest critics are our physician colleagues. 4. Promote a medical education system that encourages and rewards those who want to learn more about management and leadership early in their training and practice experiences. 5. Assume positive intent when a physician leader does or says something that at first doesn’t seem to be right. Seek to understand, rather than reflexively condemn. Please ask how that “something” benefits patients, and offer your viewpoint of how it might affect physicians as well as patients. With constructive input, rather than obstructive criticism, you will play a key role in helping to craft a better solution. 6. Appreciate those around you who are providing exceptional leadership. Your opinion as a physician matters, and your positive feedback will build momentum behind physician-led change initiatives. AAPL has partnered with five universities that recognize association courses as prerequisites for physicians seeking advanced degrees with a focus in health care leadership. University of Massachusetts at Amherst: MBA with focus in Medical Management. Carnegie Mellon University: Master of Medical Management. University of Southern California: Master of Medical Management. Thomas Jefferson University: Master of Sciences in Healthcare Quality and Safety Management, and Master of Science in Population Health. Arizona State University: Master of Science in the Science of Healthcare Delivery, and Master of Advanced Study in Health Informatics. These programs are designed to offer flexibility in scheduling, with live and/or online offerings, and tuition savings for members. For additional information, visit physicianleaders.org/masters. 7. Embrace technology as a solution to many health care delivery challenges. However, speak up when you observe technology as a barrier to patient-centric care. 8. Maintain the view that we are all stewards of health care for our global society. 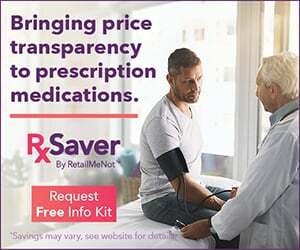 This includes managing expenses and knowing when lower-cost options will offer equivalent outcomes to higher-cost treatments. 9. Actively pursue effective communication. Whether it’s patient handoffs, self-reporting of suboptimal outcomes or boardroom discussions, miscommunication is too often at the root of many issues. 10. Let failure be transformative. We are trained to avoid failure, yet it can be our greatest teacher. Health care delivery is complex on both individual and societal levels. Physicians, and physician leaders, are not perfect. However, a proactive approach to solving problems is much more powerful than a reactive, helpless or aggrieved position. Small steps do make a difference. Michelle Carter, MD, Howard University Hospital, Washington, D.C.